The overwhelming sense of familiarity in this album is apparent from the very start. I saw their final London show (check that out HERE), just one night before this one was recorded in their home town of Birmingham, and it was phenomenal. After 50 years you’d assume they’d lose their way, but the absolute worship of their audience, technical brilliance of the musicians and bizarre charisma of Ozzy mean Sabbath are still at the top of their game. From the first chime of that bell, everyone knows what’s coming. The heaviest riff known to man explodes from Tony Iommi’s SG, and its demonic, perverse beauty rings through the ears of those lucky enough to see it performed one last time. Ozzy has complete control from the start. Power enough to slowly garble his lyrics completely out of time, with the audience still firmly in the palm of his hand. Next comes the more up-tempo ‘Faries Wear Boots’, with Ozzy getting the audience moving while Geezer Butler bounces up and down the neck of his bass, somehow filling the texture by himself. Sabbath keep the tempo up as they run through classics of the early 70’s, reaching ‘Snowblind’. A now sober Ozzy may regret the content of his cocaine-love song, but there is no denying it is one of their catchiest numbers, prompting covers from the likes of System Of A Down and Soundgarden. Live, it loses none of its charm, with Iommi’s blurry chordal accompaniment giving the perfect support to Ozzy’s distinctive, droning voice. Track 7 is simply a chance for Ozzy to introduce the band, but even that he manages to get the audience hyped. Rhythm guitarist Adam Wakeman is the son of Rick Wakeman, while stand-in drummer Tommy Clufetos very sadly replaces Bill Ward. In a move that every member of that band will probably regret as long as they live, a suitable contract was never finalised, leaving the final show from the band who started it all, just slightly unfinished. ‘War Pigs’ is just as magical as expected, with every single member of the 16,000 strong audience singing every word. ‘Oh Lord yeah!’ takes us into a perfectly executed instrumental that proves the band still have everything they had when ‘Paranoid’ was released. Their technical prowess is shown even further through ‘Behind The Wall Of Sleep’ and Geezer Butler’s masterful bass intro to ‘N.I.B’, which has the audience completely mesmerised. 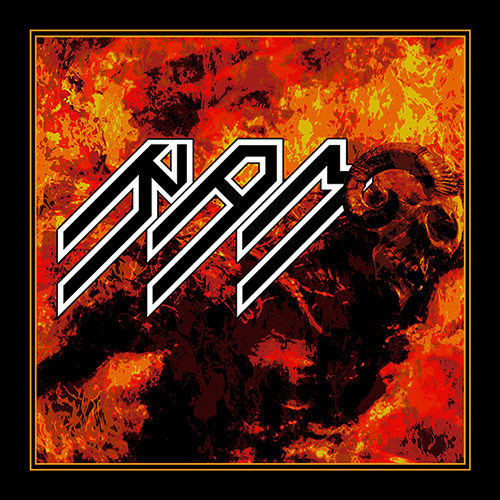 A quick mash-up of ‘Supernaut’, ‘Sabbath Bloody Sabbath’ and ‘Megalomania’ condenses what I can only assume is 3 tracks they couldn’t decide whether to include or not. While Ozzy is on top form as always (top form being defined differently for the Prince Of Darkness’), even he must take a break. Instrumental ‘Rat Salad’ allows Clufetos to show off at the kit. Now, as very impressive solo it is, but as someone in the audience the night before, it isn’t what I wanted to see. 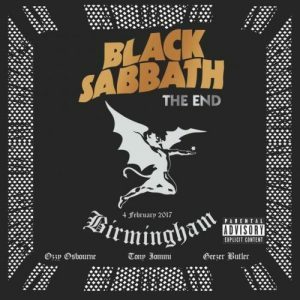 I don’t want it rubbed in my face that the man I heard drumming on every record couldn’t be there, and I certainly don’t want a portion of the final Sabbath show to be wasted on a young drummer who will be around for years. I want the old men back. And back they come, to the tell-all bass drum pattern of ‘Iron Man’. Ozzy leads the audience in one final shout of ‘I am Iron Man’ and the sudden tempo change midway through allows an eager audience a moment to dance along to the normally haunting riffs. An extended version of ‘Dirty Woman’ is the penultimate track, before ‘Children Of The Grave’ brings the main show to a close. Knowing that Ozzy is standing stock still, hunched over his microphone yet commanding an entire audience to jump is a bit of a juxtaposition, but hearing him still capable of shrieking out the notes he gave himself nearly 50 years ago brings us back to reality. Of course, they could never escape without one more blast through ‘Paranoid’. Its evergreen riff is crushing and the enthused cheers of the audience show their appreciation for the final time. The eagerness and reminiscence in Ozzy’s voice actually makes it an almost emotional listen, knowing this is likely the last time the 3 of them will make music on stage. It holds up against anything modern, and its appeal to a live audience is still astonishing. From the guitar solo that gives Iommi one last hoorah to the ‘Hey’ that Ozzy leads the crowd through, it is simply brilliant. The final chord is met with appreciative and meaningful cheers, as the bands members stretch out their final moments as long as they possibly can. And then it’s over. The mixing is great, the track list is near perfect and the importance is off the scale. For the last moments of a band who are to thank for an entire genre to be recorded is something pretty special. The ever-quiet Iommi and Butler provide a technical masterclass in both their playing and what they wrote over their vast career, while Ozzy’s distinctive voice, engaging personality and genuinely thankful words give the album a charm and appeal, beyond even the music they play. It is finally The End, and what a way to take us there.